Every now and again in this journal I like to review movies or video games that have really made an impression on me as an artist and a writer. Let it be known before I even begin talking about The Last Airbender that I am a long-standing fan of the original animated series that inspired it (Avatar: The Last Airbender). As a child of the early 80’s, I grew up with the golden age of animation still lingering and the slick adventurous and bold animation of the 1990’s – before children’s shows became all about sponges wearing pants and random inanity. For me, Avatar: The Last Airbender was a breath of fresh air. Finally! An animated show that looked beautiful and smooth, with pleasant stylization and a rich tapestry of a fantasy world that really drew me in. Finally, a series that was paying attention! Here we had characters who were flawed and who changed throughout the course of the show. Moral lessons were not always on the surface of a story, especially when our beloved characters often did things that they knew were wrong, but that suited them as characters. DiMartino and Konietzko had created a story worth telling. 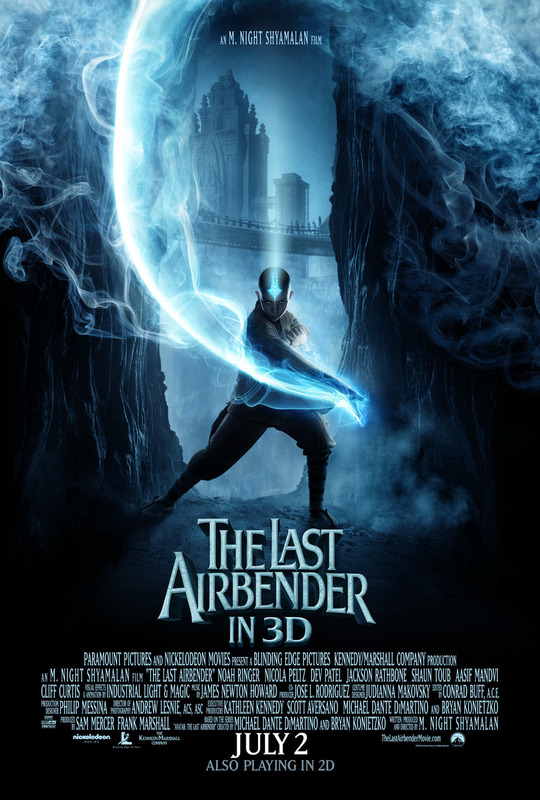 Unfortunately, little, if any, of this wonderful story translated to the movie adaptation of the series called The Last Airbender (darn blue cat people taking the rights to Avatar!). It’s true the heart of the story is still the same. We have a young monk named Aang who is burdened by the responsibility of being the Avatar, a driving elemental force in a chaotic world who is meant to bring peace. Instead of facing his responsibility, he runs away and by a twist of fate, pulls a Rip Van Winkle and ends up awakening 100 years later, where friendship and guidance from folks he meets on his journey puts him back on track to being a hero. The movie fails in the respect that the entire story felt rushed. Characters blurt out plot points with plenty of emotion, but the driving force of their motivation seems left to the cutting room floor (considering this movie is about an hour and 40 minutes and still manages to create little emotional attachment to the characters and condenses an entire first season of plotline). Decisions are reached too quickly, characters rush headlong into blind belief and friendship in one another, despite having just met. Fight scenes feel like a waste of time when half of the driving philosophy that made the Asian-inspired world of Avatar so enthralling was the dueling philosophies of the nations and their particular styles of Bending, or elemental manipulation. We’re gifted one line of philosophy about how you must ‘give in to Water’, but really, how deep is that in the context of the movie? Not so deep, just like the rest of the cast and its stilted performance handicapped by a shortchanged plot. First Rule of Movie Adaptation, do NOT try to directly adapt a plotline without repolishing the original story to fit your new, often condensed timeline. Most of this movie felt as if it were merely trying to reach important plotlines that happened in season 1 of the animated show. Line by line, as if it was a checklist for those who watched the series. When is Hollywood going to learn that you can’t just rush through a plot, toss in a few action scenes, and then rake in the cash? Just like the last blockbuster disappointment, The Prince of Persia, characters had no lows where they could really bond with one another or express anything further than stereotypical surface emotion. (Though I will say, I enjoyed Prince of Persia far more than Airbender). Without safe ports in the plot for characters to contemplate and develop as characters to contrast against the many scenes of frenzied action, there is no spark of interest or resonance with your audience. And for the love of all that’s sacred, please don’t reveal the emotional life changing moments of an important character in a 2 second flashback with a couple of explanatory sentences! Perhaps Shyamalan was rushed? Perhaps he was pressured to cut the material that would have made this movie feel less splintered into plot points? Whatever the reason, this fan was not pleased. I hope for the sake of the fans, they get their act together for the next two movies, if they even gross enough to finish production on them after this major disappointment. Perhaps I’m also being harsh, but for a director who has professed so much love and respect for the source material, I expected much more from this production. Go see it if you’re bored, but please, just go rent the animated series if you want the full story. With so much going on lately, I’ve had little energy to write expansive blogs. My apologies for this! After I finish the last chapter of my book, I hope to come back to it with more informative blogging sessions getting back to some of the artists and technology topics discussed previously. I am also open for topic suggestions, if you have anything you’d like me to ponder about in the meantime. For now, I leave you with a list of movies that make me want to draw. I’ve never been one to work in complete silence so there are always movies or music playing in the background. These particular movies give me a twinge of creativity, a tiny ache to draw something boundless. Much like Dante of the Divine Comedy, Robin William’s character embarks on a quest through the underworld to redeem the soul of his wife. I’ve been leaning a lot on this movie of late with its glimpses of shimmering heavenly cities, libraries floating amidst underworld rivers, and thought provoking philosophy. Every time I watch this movie, I find something new in the rich canvas of its imagery that I never saw before. Tear jerker warning for this one! The Francis Ford Coppola version. My favorite version of the classic vampire’s tale (and possibly my favorite Vampire movie of all time). With the wardrobe of Eiko Ishioka and heavy influence from the Symbolist movement of art, this movie is just mind-blowing sensory overload. Even more impressive is the fact they used classic film splicing and layering effects with no cg. Add to that Gary Oldman and Anthony Hopkins and you have a combination for win in my book! Gaudy sensuality, over the top action sequences, a Native American dude who inexplicably knows oriental martial arts. I can forgive this movie its flaws for its gorgeous wardrobe, interesting plot twists, and wonderfully surreal soundtrack. I love Monica Belluci’s wardrobe especially. Dark lace, razor sharp fans, corsets, and tarot cards. Mmm. From Ninja Scroll to X, I’ve always had a liking for the work of character designer and animation director Yutaka Minowa. Never are his designs more stunning and gothic than they are in Bloodlust. From D’s adornments to Leila’s combat jumpsuit, this movie is a character designers feast! Where else can you get a werewolf with a face in his stomach, a man who attacks with shadows, and a vampire hunting gang all in one movie? If you don’t watch it for the plot, watch it for the visuals. I’m perhaps dating myself with this movie on the list. I love it for the same reason I love Legend, it’s fantastical visuals that aren’t quite sugary sweet fantasy. A group of unlikely heroes must protect a baby from an evil queen. Roguish heroes, wry humor, monsters, sorcery and more! It’s a fun and inspiring ride. Probably still my favorite thing that George Lucas has ever done, even over Star Wars. This movie needs no introduction. I list Two Towers here because it is my favorite of the trilogy. The biggest treat for me in this one, visually, is the distinctive sets of armor we see in the Elves, Goblins & Uruk Hai, and the Men of Rohan. There’s also a more down to earth plot here in the epic fight of Helm’s Deep. It was far more epic with its human tale of fear than the epic fallout of Return of the King. I toss this movie on whenever I’m in the mood for martial inspiration. Guillermo del Toro at his best. A little girl named Ofelia entertains flights of fantasy in the old labyrinth near her home, where she and her mother are prisoners to the whims of her mother’s lover, a violent military Captain. I love this movie for the way it walks a fine line between reality and fantasy. The creatures are never unbelievable, even if we are left questioning Ofelia’s hold on reality as she ventures deeper into forbidden places. The ‘Pale Man’ gives me the chills every time! There’s a fairy tale magic blended with the harsh realities of real life. It’s that blend that makes it the most compelling to my art muses. Another movie that needs no introduction. I grew up with its songs at the height of Jim Henson’s creativity. 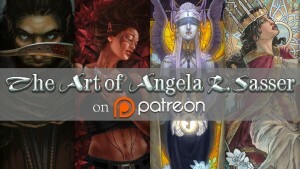 The Masquerade dream sequence,especially, gets my artistic gears going! Wow, this entry didn’t turn out short at all did it? It’s amazing after compiling this how many of my inspiring movies deal with descending into otherworlds, underworlds, or dreams, though I am far from surprised by this revelation! So what are your favorite inspiring movies? What gets your creative juices flowing? Do you remember Final Fantasy: The Spirits Within? You know, that movie with the computer animated people and glowy spirits? I remember thinking when I saw Spirits Within that there was something missing as far as the emotion of the characters and the makeup of their world, though I enjoyed the movie on its own. It was all very shiny and glowy, yes, but there was just the slightest lack of true emotion thanks to the boundaries of technology at the time. They hadn’t quite crossed the uncanny valley. Hair was still clumpy and unnaturally flowing, facial muscles had the expression capabilities of plasticine puppets. 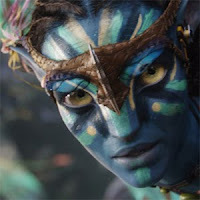 And then James Cameron’s Avatar (not to be confused with Avatar: The Last Airbender) came along. Rather than parroting other reviews, I will say this. 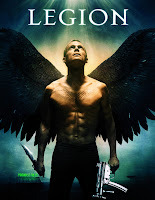 I enjoyed it much and did not go in expecting an overly impressive plot. I went for sweeping bio-luminescent vistas and the fascinating blue tribal cat people. It is not a triumph of storytelling, but rather of animation. When the main character is walking in his Avatar body feeling the soil between his toes for the first time without the aid of a wheelchair, I could feel that sense of euphoria. I could see the smile lines on Jake Sully’s face, the intake of breath, the natural gorgeous flowing hair that didn’t look stuck on like a texture mesh hat. For as complicated as human emotions are, subtlety is key in making an animated character, and yes even works of art, feel real to us. Emotions are not merely the smoldering of someone’s eyes with lust/love/greed/anger, but a combination of subtle movements, body language, posture, breaths, and the numerous tiny muscles in the face that combine to form a smile, a catlike hiss, or the smothering tension of someone overwhelmed by hatred and grief. I came out of the movie wondering if some day I might be able to see my own stories and characters alive in animation. I’ve certainly thought this before, but never had any faith that animation could make them look tangible and human so much so that I could reach out and touch them instead of merely think of them as moving caricatures on a 3D animated canvas. (2D animation is a whole other other discussion on its own). This movie also represents a leap in respect for the computer animated method of film making, in my opinion. Where once it may have been considered a fantastical fancy for children’s entertainment, or merely the canvas for Frodo and Sam to journey through, now it is something viable, monetarily and for serious storytelling. Computer animation can be main stage and main actors for a movie rather than merely pretty background elements or distant cg doubles engaged in minor background activities or stunts too dangerous for the real actors or stuntmen. I, for one, am looking forward to where this style of storytelling and animation takes us next! Are you afraid of buttons? Koumpounophobia – the fear of buttons on clothing. Plastic buttons, metal buttons, buttons on coats,…buttons in doll eyes? This past week I hopped in the car with my movie adventuring mom and caught Coraline on opening night. I went in with the high expectations of one who has worshiped Gaiman’s work since reading Sandman in my younger days and came out as amazed and satisfied as I had hoped to be. Admittedly, I have not read the original novel, but this movie has sparked my interest and it’s yet another book on my monstrous pile of ‘to read’. Synopsis: Coraline is a disgruntled preteen who has just moved in to the Pink Palace Apartments with her parents, who are far too busy to make time for her. While exploring the house, Coraline discovers a locked door which has been oddly sealed by the wallpaper. Beyond this door lies a world which she never could have imagined…a world where she is happy. Review: What I find most impressive about this movie is its unwillingness to devolve into yet another sickly sweet animated film that preaches to children that everything is without challenge and consequence in life. By putting the main character in real danger, she is more apt to learn a lesson and to prove herself than if she is completely in a zone of comfort where there is always someone to protect her. After all, this sense of grappling with morality and the darker side of life is what made Grimms’ and Anderson’s fairy tales so provocative. Children learned to fear the darkness, but they also learned that there are those who have challenged it and survived. Some may tell you this is not a movie for kids, but I would disagree. It’s the perfect movie for children over 12 who are already beginning to wonder about that scary world of the unknown. After all, when I was 12, my friends and I were already sitting around telling one another ghost stories and challenging one another to go into the bathroom, turn the lights off, and spin 8 times chanting the name of Bloody Mary. Then again, perhaps I was just a morbid child? This movie particularly reminded me of a story we used to tell about how you can see ghosts by holding up a ring and peering through it. I was always too afraid to try and could only look through the ring for a couple of seconds before wussing out. As far as the movie itself, I was pleasantly surprised to find out that it was not stop-motion or claymation, but rather full on CGI (EDIT: Actually it IS stop motion animation apparently. Glad to see this form returning! I saw some 3D models online and thought they were computer animated. That makes this even MORE impressive in my book). It takes real talent to make a computer animated film look as if it was done by a traditional method and every bit of it, from the delapidated gardens to all of the personal touches in Coraline’s room made the film have a distinct and well planned atmosphere. The voice acting was superb and the soundtrack suiting with its softer moments of piano and the children’s choir which gave it an appropriately creepy main theme throughout. Overall: I give this movie a 4 out of 5. Enjoyable to more than just children. Definitely recommended for fans of Gaiman’s work or those with a sense of macabre. For those who fear buttons? I am afraid you are out of luck with this one! I saw Inkheart last week and it really got my pondering juices flowing. If you haven’t heard of it, it’s the latest in Brendan Fraser’s stream of young adult novel to movie adaptations. Not the best flick, but it had it’s moments. I loooved Paul Bettany as Dustfinger. As a movie, it falls short of really hitting the nail on the head for an adventure flick, but what I found the most intriguing about it was the concept of the “Silver Tongue”. Silver Tongues are individuals who, by the act of reading aloud, can bring anything into existence. Now imagine that you are an author and you are suddenly confronted with your own characters, who are quite tormented and angry that you’ve put them in the situation that they are in (something which occurs in the movie). What would your characters say to you if you met them face to face? What inspired you to make them the way they are? If your characters suddenly became real, how would they react to the ‘real’ world? It was interesting to see how villains in the Inkheart world adapted to use the technology of our world, which made their jobs of being thieves that much easier. The whole concept got me to thinking about the relationship between an author and a character. Why do we make them? Why do we torture them? Personally, I started creating characters as a young child in order to sleep at night. I always needed a good bedtime story to get to bed and I never grew out of that. If I’m not dreaming up a story before I’m sleeping, I can’t sleep at all. Every night, I imagine a scenario of some sort, my prince Ramah racing across a moonlit beach in his desert kingdom; Melakim hunting a dangerous adversary through a dark wood; Aurora diving off of a skyscraper in some elaborate aerial maneuver to penetrate a building’s security. There are all manner of stories and situations that end up fueling my art and writing at some point. Where would the fun be if you didn’t put them in danger? Everyone needs a little tension, though I will admit being a bit of a sadist when it comes to torturing them. Aren’t we all?